A newly developed microchip from the west that can cause a nuclear explosion by electromagnetic radiation, has landed into the hands of the KGB. James Bond must find it. His suspicions soon lead him to big industry leader Max Zorin. 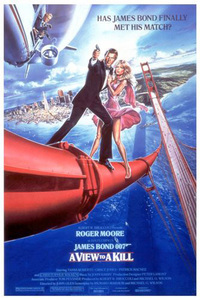 The 14th film from the Legendary James Bond series starring Roger Moore as a British super agent.